One of the great things about working for an AI start-up is that it’s always a solid conversation starter at parties. Everyone has some idea of how AI is revolutionising their industry; everyone has some idea of what they think it actually does. It can, however, lead to some confusing interactions when people realise that I’m not quite as ‘tech-bro’ literate as they might have anticipated. At Discover, we’re all about how AI can help people ‘be more human’, not overtaken by machines. And there’s nothing more human than having a bit of fun at Christmas! 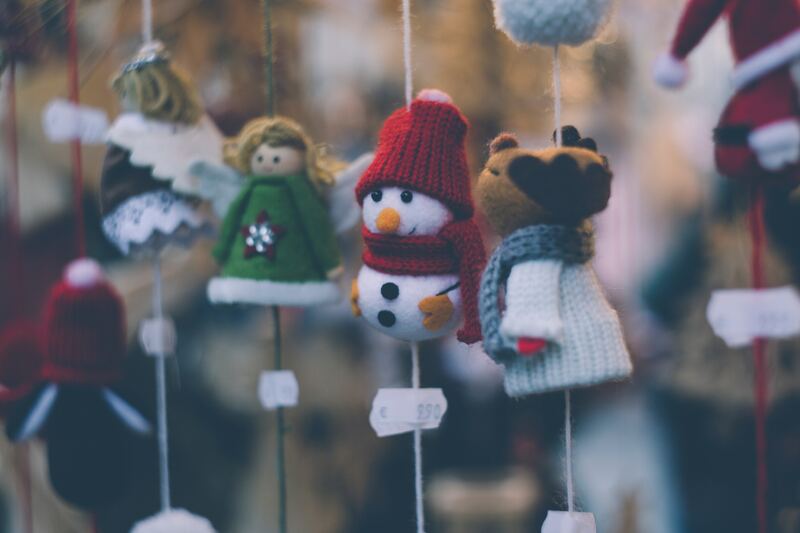 So if you want AI to do something useful and brighten up your Christmas, and your AI party conversation, then try these surprisingly entertaining AI based games below. (If you want to hear a bit more about how we at Discover are using AI to help people ‘be more human’ by accelerating expertise to discover brand growth opportunities, check out our recent White Paper). 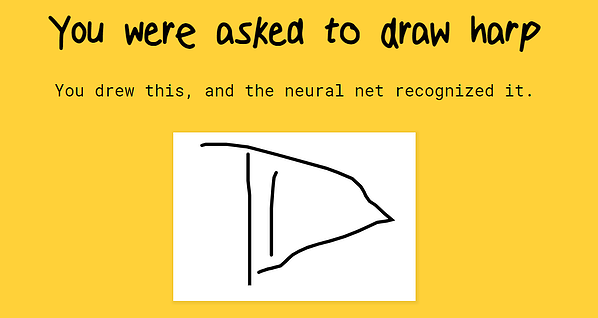 This is a great little exercise where you’re given a word to draw (apple, bicycle, wristwatch etc) and the machine tries to guess what it is. 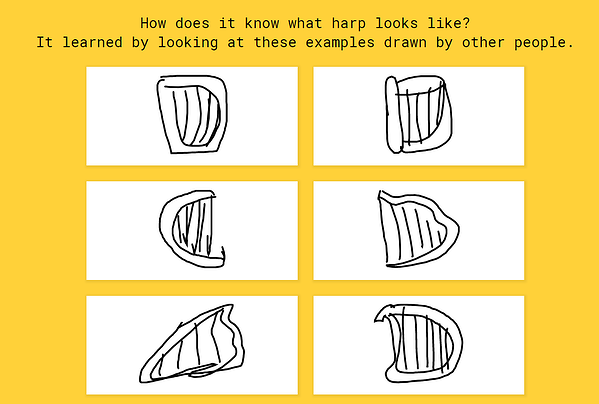 What’s fascinating about this is that it has learnt based on what other people have drawn in response to that same word – so you playing the game makes the game work better for the next person. 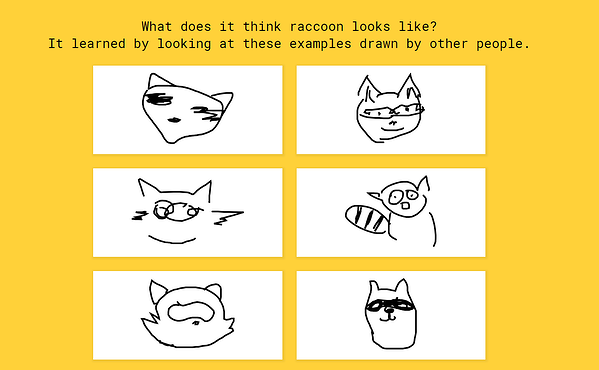 As you might have spotted from the previous round, my drawing skills may have left me at a bit of a disadvantage. Luckily, there’s now a way for machine learning to help me with this too – it’s taken the logic of the previous game and pushed it further. 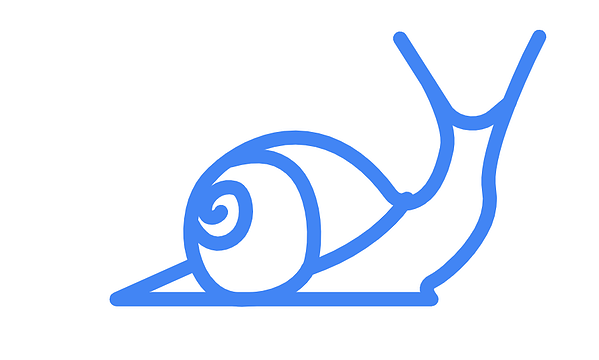 In the above tool, if I draw a snail as below, it will say ‘did you mean’ and give me a bunch of options – a kind of visual autocorrect. This is in no way useful for my job, but still pretty cool! I have even less musical ability than I do drawing ability, which has saddened me because I’ll never be in one of those musicals where people start making sounds and it turns into a song. No, but this site is pretty cool – it takes naturally occurring sounds and turns them into percussion. 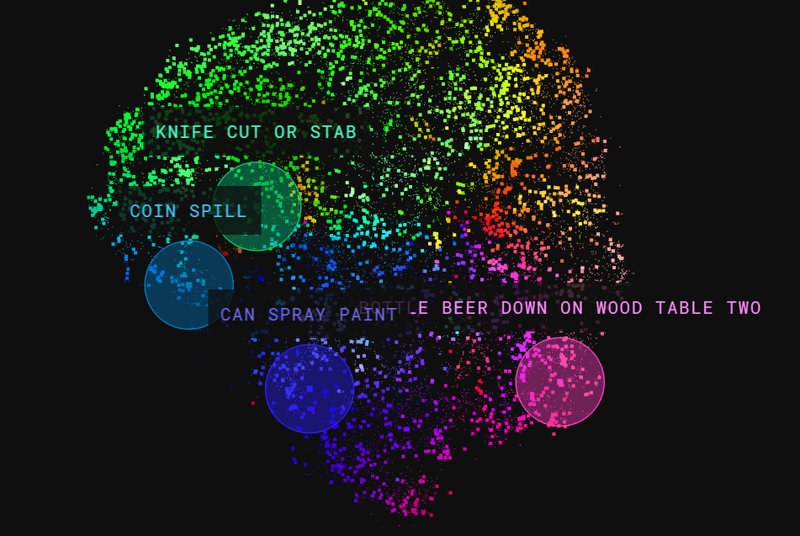 It’s then rendered visually here: each dot is a different sound. They fed the sounds into the machine, and the machine itself worked out which were similar and which were different and clustered them accordingly. I think what’s fascinating about this is the idea that we’d struggle in words to articulate the difference between the sound of putting a bottle down on a wooden table and on a cork table and how different this is from a metal table. The machine can not only identify these differences, but also provide a visual frame of reference to make it easier to sort through this information, which then allows us to leverage this insight. Whilst I really enjoy playing around with different types of machine learning, for me what’s exciting is not just what it does, but what we can do with it. I can’t stop myself from trying to draw conclusions from the types of data people are inputting, or thinking about the different ways of communicating this type of technology is opening up to us. At Discover.ai, we apply this logic to language and images, using AI to throw up the most interesting content and make speedier connections, for a newer type of research. You might use it to compose the next genre of music. You might use it to do something no one has thought of yet. That's where the fun starts. Download our white-paper to discover more about how AI can help us be more human.